Local landscapers share their favorite long-blooming flowers. Sunpatiens. Daniel Mee, Frisella Nursery. Scaevola. Jim Graeler, Chesterfield Valley Nursery. Purple Coneflower. Katy Molaskey, Green Guys. Coneflower. David Sherwood, Sherwood's Forest. Pink Fuzz Foamy Bells. Ann Lapides, Sugar Creek Gardens. Sensation Salvia. Christine Knoernschild, Passiglia's Nursery. “When talking long-blooming between perennials and annuals, our mind jumps to annuals – no perennial will beat them if the goal is long-blooming. 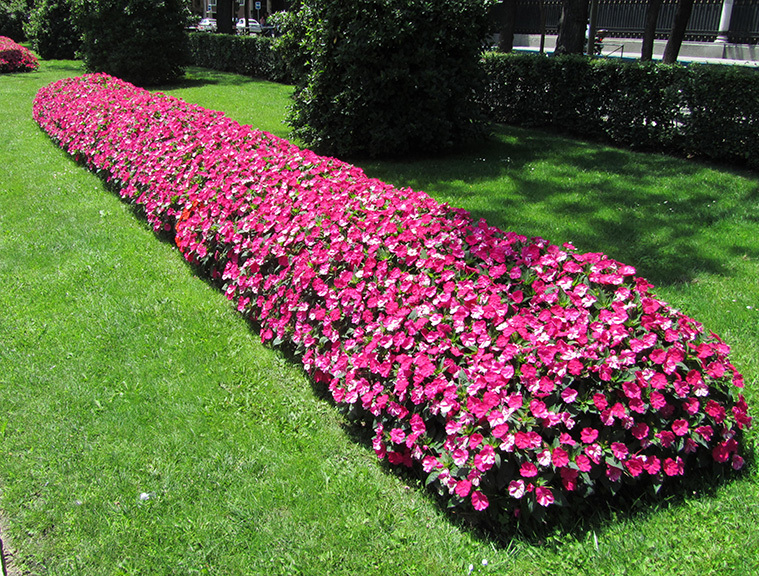 One of our favorites for St. Louis is SunPatiens, Compact Magenta. This variety has vibrant magenta blooms against dark-green foliage. It is a vigorous grower reaching 24"–36” in one season and a prolific bloomer from spring until the first hard frost in fall.“ Daniel Mee, Frisella Nursery. “Scaevola, also known as fan-flower, is native to Australia. Its cascading character makes it the perfect plant for hanging baskets, mixed containers, raised beds or landscape beds, where it will spread easily. 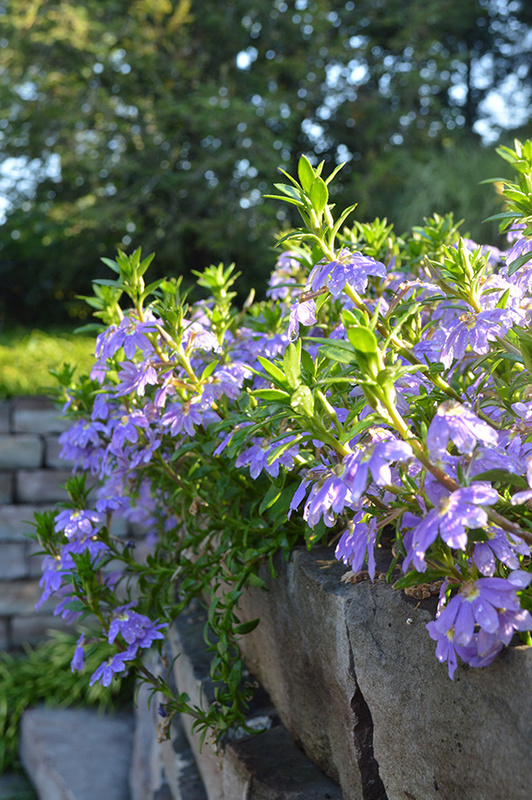 Scaevola is a durable, heat-tolerant flower that produces an abundance of lavender-blue or white fan-like blooms. Planted in early spring, it can bloom until Thanksgiving if the weather holds.” Jim Graeler, Chesterfield Valley Nursery. 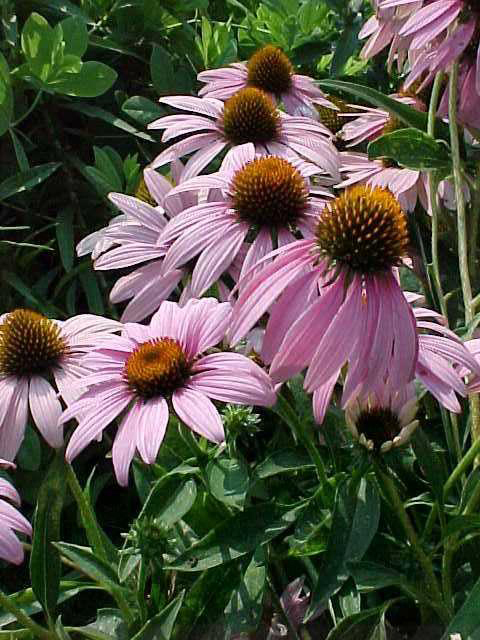 “The Purple Coneflower (Echinacea purpurea) is a showy native plant which blooms in the spring and summer. The plant also maintains its unique structure throughout the winter. The shuttlecock-shaped blooms range from white to fuchsia depending on the variety and stand poised at the end of 24” - 36” long stems. Here in their native habitat they are very low maintenance; they re-bloom without deadheading and are tolerant of many weather and soil conditions.” Katy Molaskey, Green Guys. 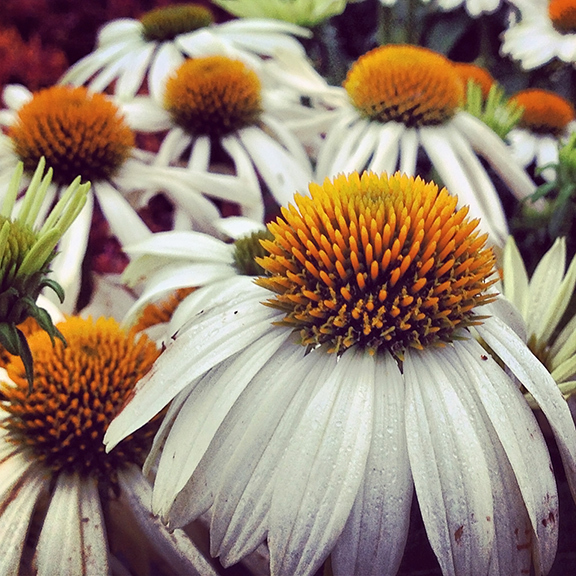 “The Echinacea 'Coneflower' is one of my favorite blooming perennials. They are drought resistant, a good pollinator and come in a rainbow of colors and sizes. They attract butterflies, will bloom until fall and make excellent cut flowers.” David Sherwood, Sherwood’s Forest. 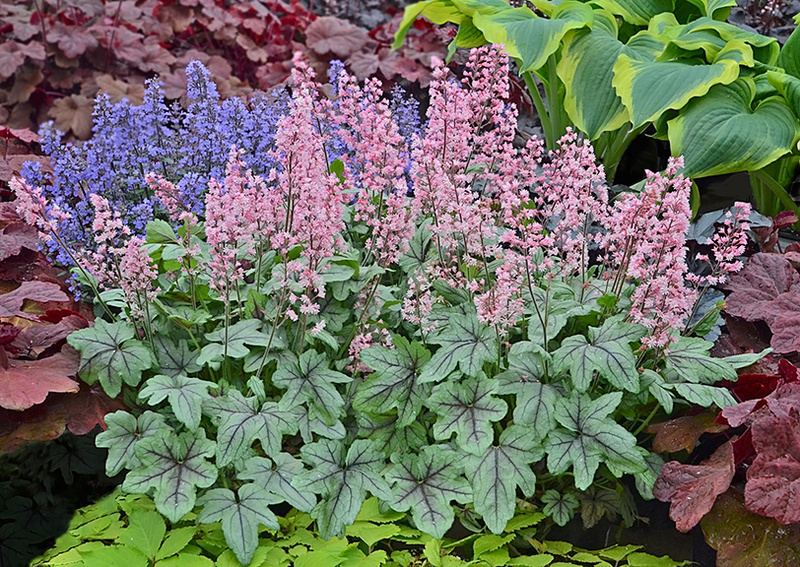 “Pink Fizz Foamy Bells, Heucherella gives the shade garden the punch to keep the party going all summer long. A charmer, it delights us with large, deeply lobed silvery-green leaves with rich-wine red-to-deep-purple veins. In summer, pink champagne flowers burst forth on wiry stems. Pink Fizz was trialed in multiple shade gardens throughout St. Louis, and the results have the test gardeners raving.” Ann Lapides, Sugar Creek Gardens. “Sensation Salvia is one of my favorite long-blooming perennials. 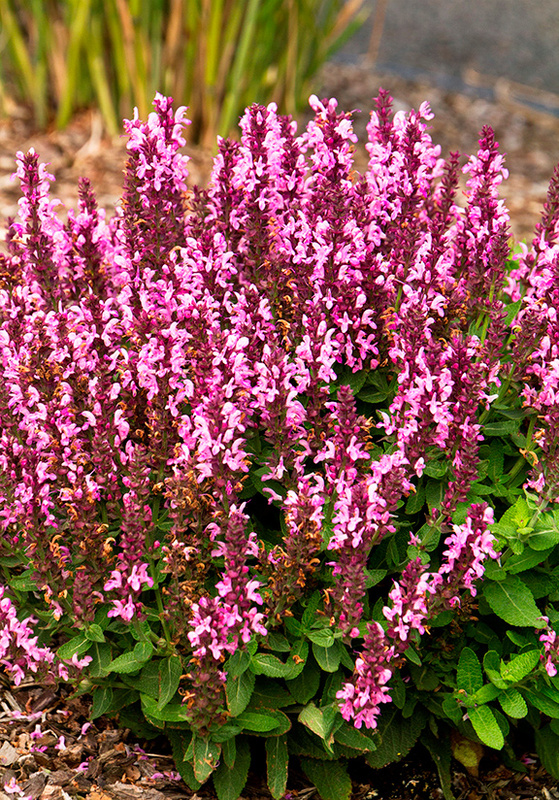 This compact Salvia grows about 12” tall, 18” with the flowers and sports sessions of abundant flowers throughout the summer. This perennial series has exciting color choices of purple, blue and pink. Plant in full sun for easy care.” Christine Knoernschild, Passiglia’s Nursery.